If you've ever worked at a packing station, picking racks or assembly line, you know how tired your feet and legs get. 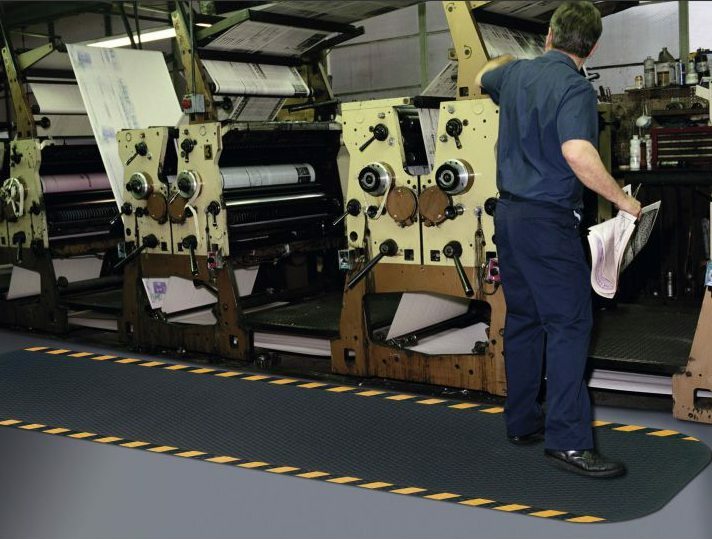 Anti-fatigue mats make a more comfortable worker, which makes a more productive worker with fewer injuries and increased productivity! Anti-fatigue mats are essential where workers stand to help ease leg, foot, and lower back fatigue and pain. Use anti fatigue mats in any commercial, industrial, office, retail or laboratory or pharmaceutical environment. Our anti-fatigue mats come in a variety of styles and thicknesses to meet your needs and budget.